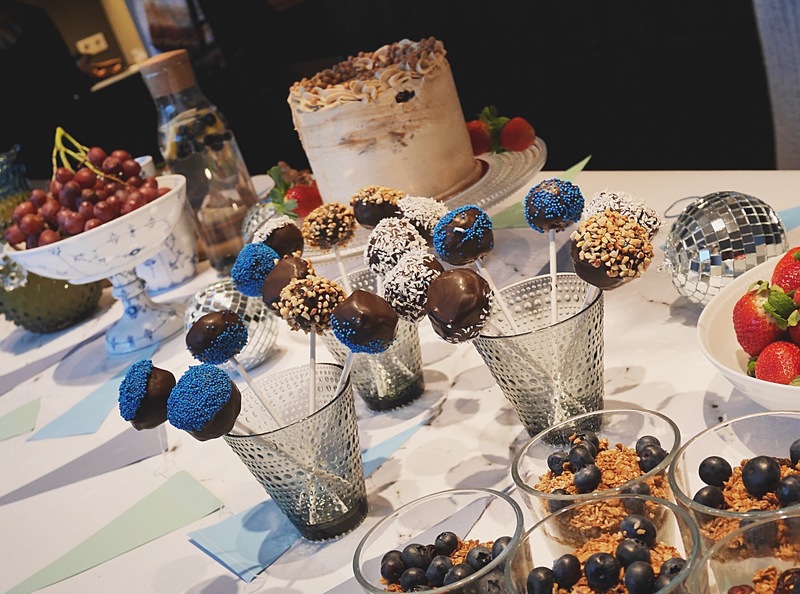 I did these delicious “cake pops”, typical babyshower thing right. ;) but I didn’t use mashed cake like the original. I did chocolate oat balls and just covered it with melted chocolate and toppings. Chocolate oat balls is a big favorite in Sweden. No one doesn’t love them, and you can find it in every coffee shop in Sweden. 1. Mix ALL ingredients in a bowl with your hands and let it chill a a little in the fridge before you shape the balls (10min). 2. Shape into balls and place on a plate. 3. 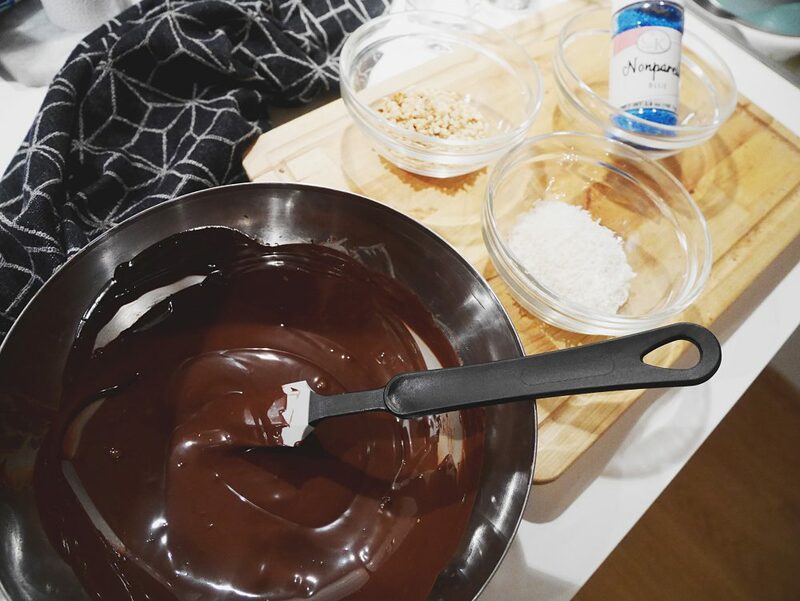 Melt the chocolate over low heat in a water bath (in a bowl over boiling water). 4. Dip the top of the sticks into the melted chocolate and then press them into the ball. Then you’re guaranteed it will stick. 5. Then you need to let them chill in the fridge again, approx 20 min. The melted chocolate can just be heated a little bit again before you will dip and cover the chocolate balls.